Are you considering international adoption? That’s great! There are millions of children around the world who are growing up without families, so if you’re hoping to grow your family through adoption, international adoption is a great way to do it. International adoption is a huge commitment–and a tremendous joy. And before you embark on your international adoption journey, there are a few things you’ll need to be aware of. 1. It’s important to examine your motivations before moving forward. Before you move forward with an international adoption, it’s important to look closely at your reasons for adopting. From the get-go, it’s important to be clear that international adoption is not simply a nice thing to do. It’s not a celebrity trend. It’s not a fashion statement. It’s not a good deed. It’s not an amazing series of photo ops. It’s not a way of sidestepping birth parent issues. It’s not a way of filling the hole in your heart. 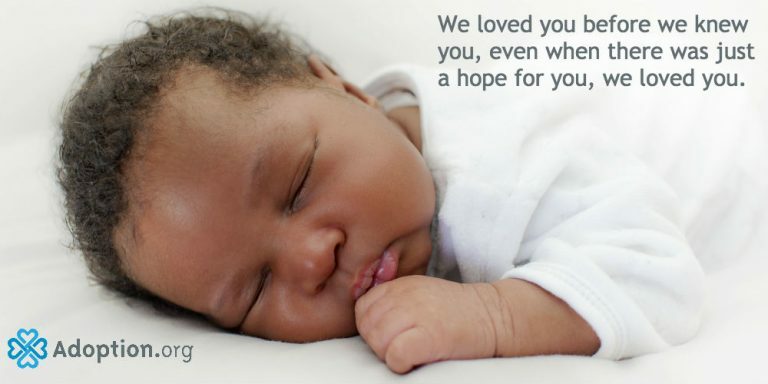 International adoption is adding a child to your family. It’s making a lifelong commitment to another human being. It’s having a willingness to persistently work to overcome any challenges that arise–both before and after the adoption. It’s opening your heart to a different culture and another country. So spend some time honestly evaluating the reasons you want to adopt. Ultimately, it comes down to this: If you want to add a child to your family–and are willing to dedicate a lifetime of blood, sweat, tears, money, sleep, and worry to the well-being of your child–international adoption is a great choice for you. 2. You can’t adopt from just any country. Choosing a country to adopt from is not as easy as closing your eyes and throwing a dart at a map of the world. Many countries are closed to international adoptions, for a variety of reasons. Wealthier countries generally try to find homes for its children inside their borders. Because of the Hague Adoption Convention, many poorer countries are closed to international adoptions because they are working to implement changes that protect children and families. Some countries, like Russia, are closed for political reasons. Every country that does choose to place children for international adoption has established rules and requirements for adoptive families, putting restrictions of parental age, marital status and health, number of other children in the home, etc. Most countries require that you travel to pick up your child; others, like Uganda, require that you foster children inside the country for a certain amount of time before you adopt. Many countries have a faster track for parents adopting children with special needs. Children with special needs may have easily correctable medical conditions or face more complex, lifelong challenges. When you’re choosing a country to adopt from, you’ll need to consider whether the country is open to adoption, whether you meet that country’s criteria, and whether you’re willing to comply with the requirements set up by that country for travel or fostering. It might be helpful to connect with parents who have already adopted from the countries you’re interested in so you can get a better feel for what the process looks like. Visit adoption.com to connect through international adoption forums. Why the Decline in International Adoption? 3. The importance of selecting a good adoption agency cannot be overstated. Your choice of adoption agency could affect you for the rest of your life. You do not want to commit to an agency that turns a blind eye to ethical red flags, or one that charges exorbitant fees and then leaves you to navigate the process without much support. A quality adoption agency should be able to demonstrate that it will do two things: First, always put the well-being of the children first and second, ensure that your adoption experience is positive and goes as smoothly as possible. A good international adoption agency should be licensed and accredited. It should also have a good reputation. When you’re looking into an agency, make sure to check with the state licensing board to see if there have been any serious complaints lodged against the agency, contact the Better Business Bureau and check for complaints, and talk to several people who have adopted from the agency. Choosing a good adoption agency is one of the biggest steps you’ll take in ensuring that your international adoption is ethical, so don’t rush the selection process. Connect with other adoptive parents who have adopted internationally and have experience with international adoption agencies. Ask them through international adoption discussions and message boards at adoption.com. 4. You’ll have to make some tough decisions out of the gate. When you begin the adoption process, you’ll have to complete a preference checklist indicating characteristics you would be willing to consider in an adoption match. You’ll need to indicate whether you want to adopt a boy or a girl, or if you’re open to either one. You’ll need to indicate an age range you’re willing to adopt from. You’ll need to decide if you’re open to adopting a sibling group, or if you’re only comfortable adopting one child at a time. Bear in mind that these days, most international adoptions are of children with special needs. These needs can range widely, so you’ll need to do some research to determine what special needs you’re equipped to address. Making these decisions will require a lot of soul-searching, some in-depth conversations with your spouse (if you’re married), and some research into the medical conditions listed on your application. Your adoption caseworker should be able to help you think through some of these decisions. 5. You’ll have to be willing to become a paperwork person, at least temporarily. There are stacks and stacks and stacks of paperwork involved in every kind of adoption. It begins with your adoption home study, where you fill out form after form, gather references, complete a background check, get a clearance letter from your doctor, write essays (not kidding! ), and more. But it doesn’t end there! International adoption adds another layer of paperwork to the process, as you’ll be providing documentation to, and obtaining permissions from, both our government and the government of the country you’re adopting from. You’ll need to submit a dossier to the country you’re adopting from, as well as opening up a correspondence with the USCIS, beginning with the I-600A: Application for Advancing Processing of Orphan Petition. After you’ve finalized your adoption, you’ll need to complete the child’s immigration process and apply for a birth certificate and social security number for your child. And it’s likely that you’ll need to complete post-adoption reports at scheduled intervals to submit to your child’s country of origin. But you got this! AND your agency will be there to guide you through it all. So take a deep breath, create a system–even if you’re not ordinarily an organized person–keep copies of everything, and move forward, one piece of paper at a time. 6. A substantial financial commitment is required. International adoption ain’t cheap. Depending on the country you’re adopting from, an international adoption will cost you somewhere between $30,000 and $50,000. This price tag comes from a variety of areas, including agency fees, government fees, donations to the country/orphanage, travel costs, and legal fees. At first, this figure can seem prohibitive, but there are ways to make it work! Grants, fundraising, tax credits, employer benefits, and loans can all be pooled together to make international adoption an affordable prospect. Also, bear in mind that the money is not all due upfront. When you initiate the process with an agency, they should provide you with a schedule of fees so you know exactly how much it will cost, and when you’ll need to make payments. 7. Early life experiences will affect your child. Be prepared to address the effects of trauma and institutionalization. Every child who has lost his or her birth family and lived in an orphanage (or, as is occurring more frequently, in foster care) has experienced trauma. This trauma has shaped the way their brains have developed, and this will affect their behaviors and thinking. The good news is that traumatized brains can be rewired over time, with consistent, compassionate, trauma-informed parenting. Additionally, some kids will find it difficult to adapt to a diet different from what they became accustomed to in the orphanage. Others will overeat and/or hoard food. Some will experience diarrhea or other digestive issues as they transition to a new diet. As you prepare to bring home your adopted child, make a plan for addressing issues surrounding food. Children raised in orphanages often do not know how to deal with free time. Their lives have been highly structured, with mealtimes, naptimes, and playtimes carefully mapped out each day. You’ll have to spend some time teaching and modeling self-directed play. Developmental delays are common in children who have been institutionalized, so it’s likely that you’ll spend some time working with your child–and possibly enlisting the help of occupational, physical, and speech therapists–playing catchup. It will also take your child some time to learn how to be part of a family and how to trust the new adults in his or her life. Connect with other adoptive parents who have had this specific experience through adoption boards at adoption.com. 8. You’ll need to be prepared to become a multicultural family. When you adopt a child from another country, you are separating them from the culture of their birth. This is a serious thing, and will have serious ramifications for your child, so you should be prepared to invest some time and effort in integrating their birth culture into your family’s everyday life. In helping your adopted child develop a healthy identity, it’s important that you provide them with opportunities to connect with their birth culture. Learning about an entirely new culture may seem like a daunting task, but relax. The truth is, you won’t be perfect at it. Start slow, with a few simple things like ethnic meals, books, holiday traditions, and art, and make it fun. You’ll find yourself naturally learning more over time. Part of this process includes ensuring that your social circle includes people from the same ethnic background as your child. Especially if your child is of a different race than you, it will be important for them to have same-race role models to look up to and connect with. People who have immigrated from your child’s birth country make ideal contacts, as they can act as mentors and guides to you and your child in understanding and connecting with their culture. As your child grows, you may find that he or she may not always want to have his or her birth culture emphasized or taught in the home. Don’t be overly pushy with it, but do continue providing opportunities for him or her to connect in that way. To join the discussion about international adoption, visit adoption.com to find an adoption forum that fits your needs and concerns. Can a white parent successfully raise black children? 9. You’ll need to let go of a lot of control. There is a lot that you won’t be able to control in your international adoption. Your timeline will often vary, depending on the whims of the government of the country you’re adopting from. You may not be able to plan trips to your child’s country very far in advance, so you’ll need to be prepared to travel without much notice. You may not know a lot about your child’s medical history. Some countries are better at tracking medical history than others, but even in those that provide medical records, the records may not be entirely accurate. All of this means that flexibility is a must in the international adoption process. Why Does It Take So Long to Get an International Adoption Referral? What are some challenges that you overcame in your adoption? 10. Your life will never be the same. Adopting a child from another country will change your life profoundly. Your abilities and your heart will stretch and grow in ways you never anticipated. You will meet new, wonderful, lifelong friends. You will learn about things you never knew existed. But most of all, you will fall in love with a child who will become a core part of the rest of your life. Best of luck to you on your international adoption journey! For more information on international adoption photolisting, visit adoption.com/photolisting. Is International Adoption Right For Me?